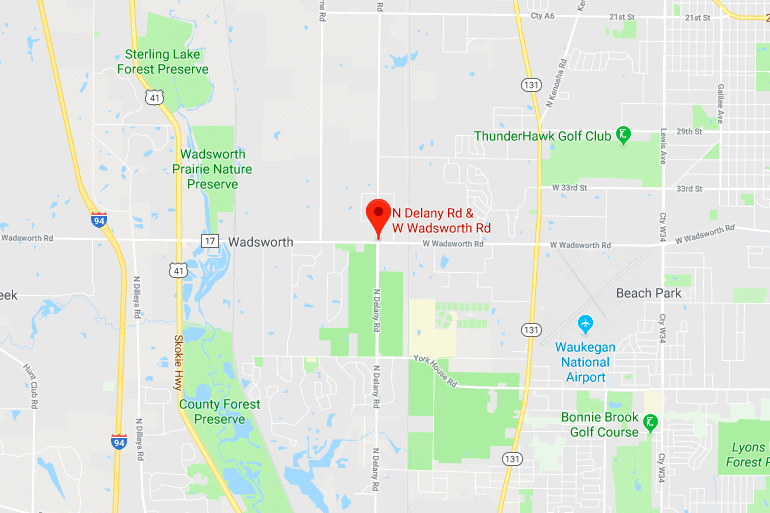 A man was killed after his car was struck head-on by another vehicle on Delany Road south of Wadsworth Road in Wadsworth Saturday evening. A 55-year-old man was killed after a 17-year-old girl drove into the opposite lane of traffic, striking the man’s car head-on Saturday evening in Wadsworth. The Newport Fire Protection District and the Lake County Sheriff’s Office responded to Delany Road south of Wadsworth Road in Wadsworth around 7:50 p.m. Saturday. Lake County Sheriff Sgt. Christopher Covelli said that sheriff’s deputies found a head-on crash involving a 2016 Hyundai Sonata and a 2007 Chrysler Pacifica. The Hyundai, driven by a 17-year-old girl from Zion, was driving northbound on Delany Road when she crossed the median and entered the southbound lanes of traffic, striking the Chrysler, which was driven by a 55-year-old Beach Park man, Covelli said. The two cars crashed head-on in the southbound lanes, causing major damage, Covelli said. The driver of the Chrysler was transported to Vista East Hospital in Waukegan where he was pronounced dead. The driver of the Hyundai was transported to Advocate Condell Medical Center in Libertyville with serious injuries. A 32-year-old man in the passenger seat of the Chrysler was transported to Vista East Hospital with serious injuries. Covelli said a Kia Spectra may have also been involved in the crash. It was located a short distance away at a gas station and investigators are working to determine if it was involved in the crash or struck debris from the initial crash. The Lake County Coroner’s Office has scheduled an autopsy for Monday afternoon on the driver of the Chrysler.